These diagrams plot the Eastern State Penitentiary (ESP) warden and prisoners testimony before the state legislature in 1834/35. 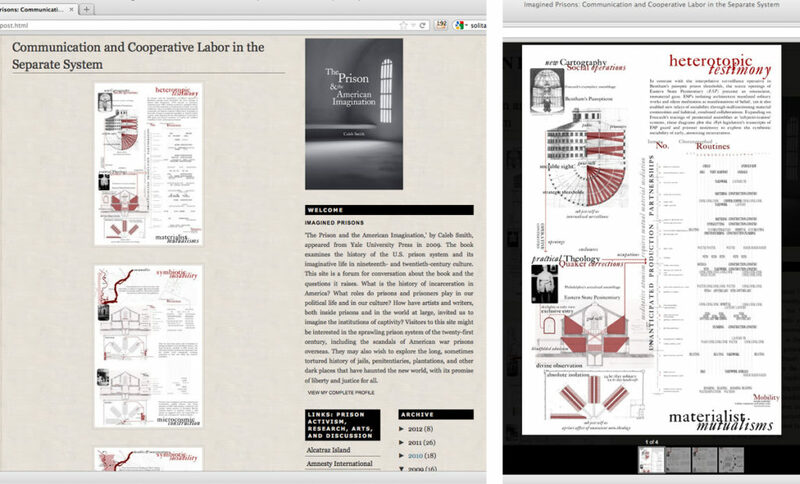 Drawing out condoned collaborations, they examine the architectural feedbacks within the drive for atomized Quaker reflection. Expanding on Foucault’s study of penitential discipline, this inquiry elucidates the operations embedded between openings—the inert, but generative material resistances of early solitary incarceration at Eastern State Penitentiary (ESP). 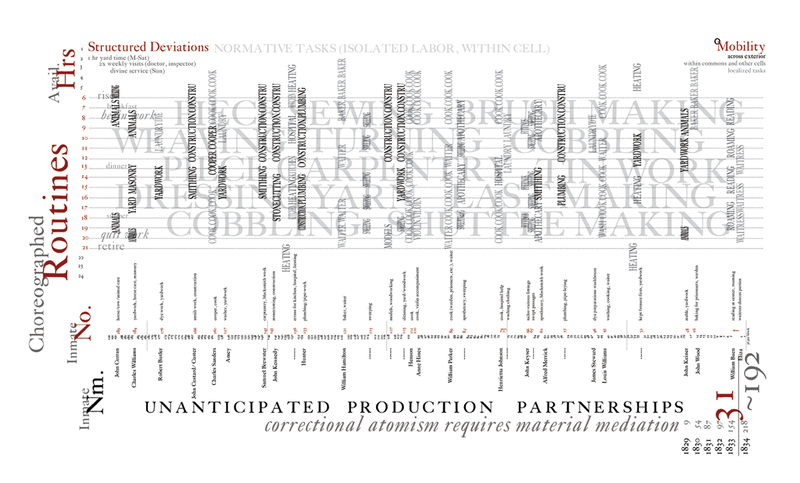 Far from neat erasure and re-formation of delinquents, ESP’s banal bio-power assembly cultivated prisoners’ professional continuities with the outside world. (Incarcerated tavern owners were sent, with supervision, to market to haggle.) This arrangement lent a distinctive and spatial intensity to technique; A prisoner’s skill could open up staggered scales of prison, city, and region to social circulation. 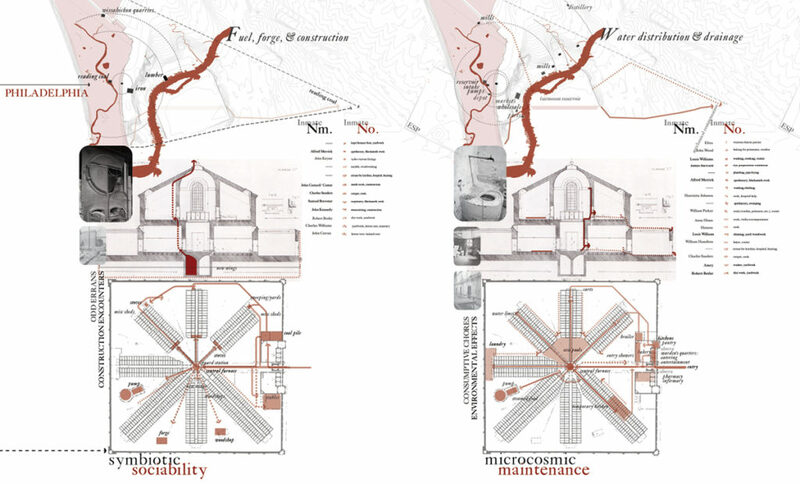 In particular, this series maps how the actualization of cellular isolation and the (uneven) advancements in architectural climate control symbiotically exaggerated externalities. For instance, the early central heating required a supplemental, satellite system of franklin stoves. The plumbing, sitting above the city’s reservoir, required a secondary water-tower and coal-fed pump to maintain pressure. From extra infirmary workers to constant stove stokers, the temperamental material feedback between location, urban utilities, and HVAC innovation served as generative social infrastructure requiring more, rather than less, interactive labor and site circulation. 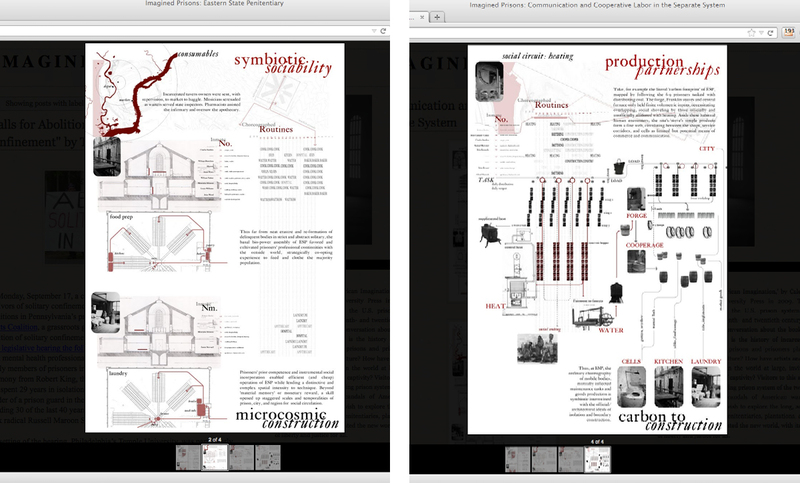 Meg Studer conducted the research and developed the infographics (above). 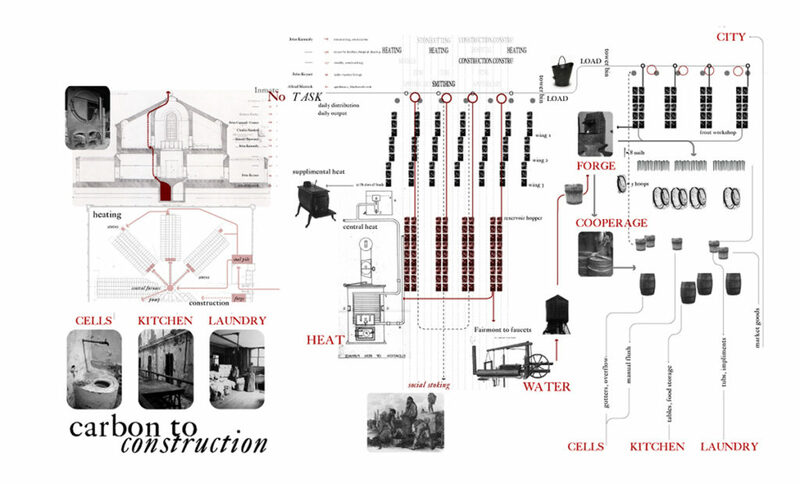 Initially a graduate research project for Dilip Da Cuhna’s Environmental Regimes, a second version of the infographics were posted at imaginedprisons.org, Caleb Smith’s companion blog to The Prison and the American Imagination (Yale U, 2009). 2007, L780 Da Cunha’s Environmental Regimes. 2009, imaginedprisons.org (ed. Caleb Smith).